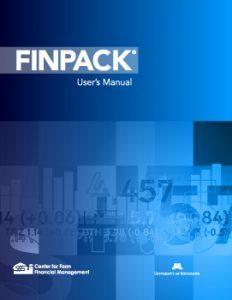 The FINPACK User’s Manual is the complete reference guide for the software. It covers everything from data entry through interpreting ratios and measures. This is the same material available through the online help, but in an old-fashioned easy-to-read book format.